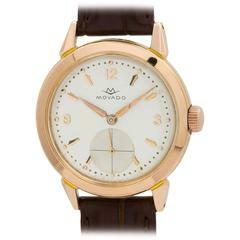 FACTORY / HOUSE: Movado Watch Co. 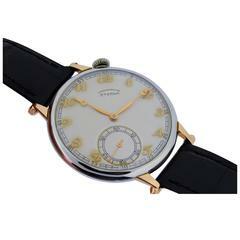 STYLE / REFERENCE: Pocket / Wrist Conversion MOVEMENT / CALIBER: 12 Ligne, 15 Jewels CIRCA: 1930's DIAL / HANDS: Original Kiln Fired Enamel Numbers / Blued Steel Breguet Hands DIMENSIONS: 46mm X 45mm ATTACHMENT / LENGTH: Alligator, 20mm / Regular Length WARRANTY: 18 months on the movement. What a great oversized watch by a famous old house. 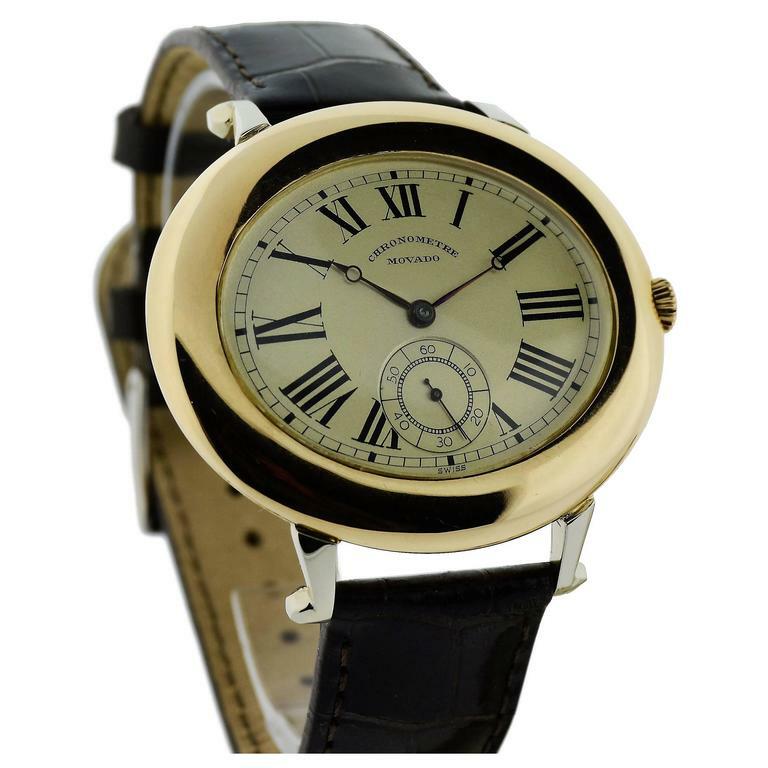 It was originally a pocket watch, artfully re-expressed now as a wristwatch. 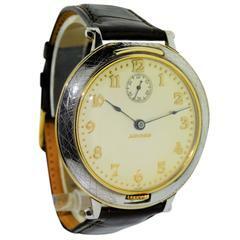 The numbers on the dial are not printed, they are engraved and filled with enamel and fired. The lugs are done in white gold. 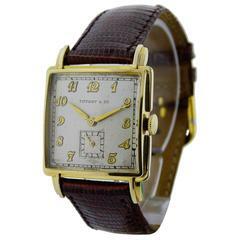 This watch still has its original factory crystal and original crown as well as an original dial and hands. 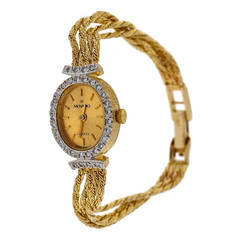 Movado is a old premier house still in business today.